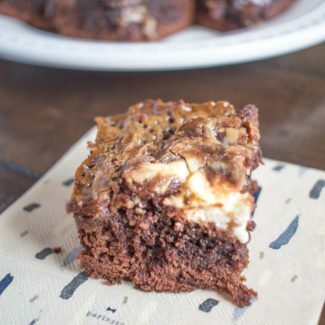 Caramel, cheesecake, and chocolate chip cookies are three pretty universally loved things. 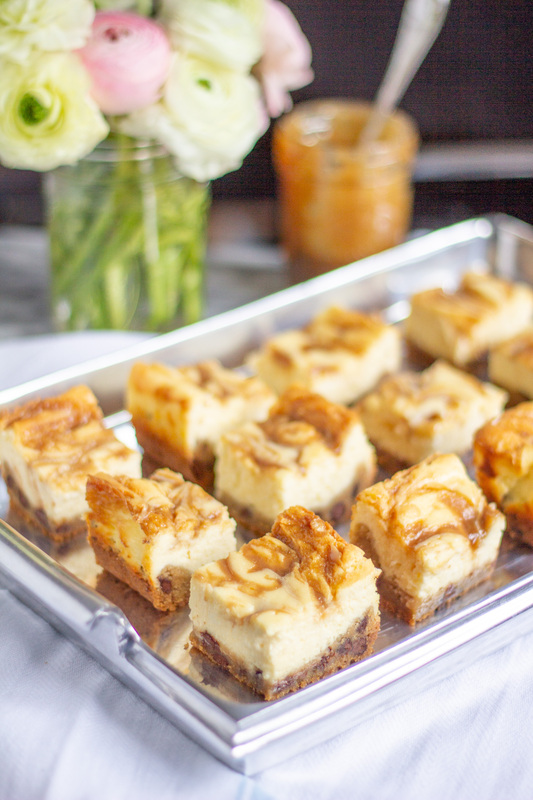 I combined them to create these Caramel Cheesecake Bars with a Chocolate Chip Cookie Crust. Yum! 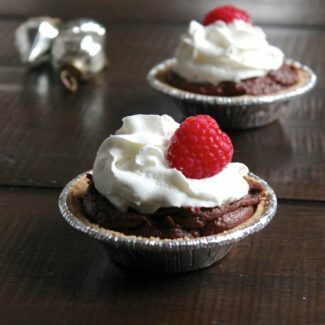 It’s a dessert that everyone loves. 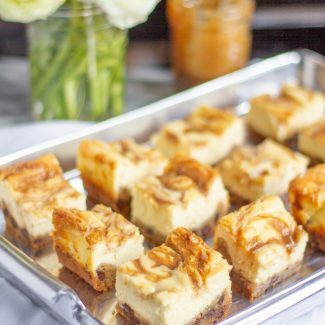 I loved how these caramel cheesecake bars turned out. First I made a batch of whiskey caramel, then I mixed up the cheesecake filling. 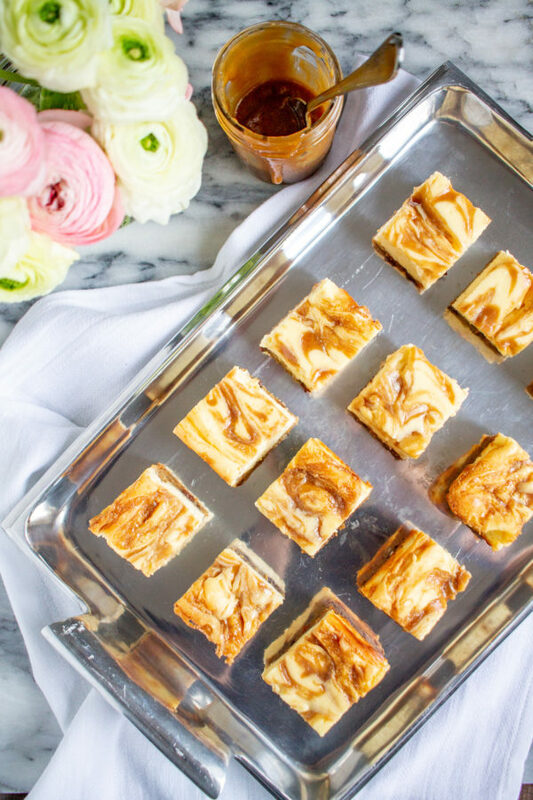 When it was time to assemble the cheesecake bars I just pressed the chocolate chip cookie dough into a square 8-inch pan, poured the cheesecake filling over, and then swirled in the caramel. 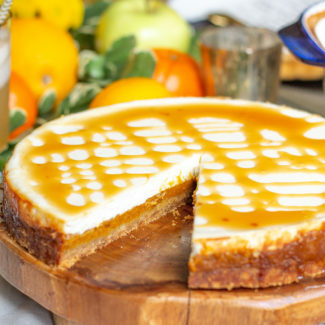 The whiskey caramel takes just about 30 minutes to prepare, and the cheesecake filling can be made in 5 minutes – the total preparation time is 40 minutes and the bake time is 40 minutes. 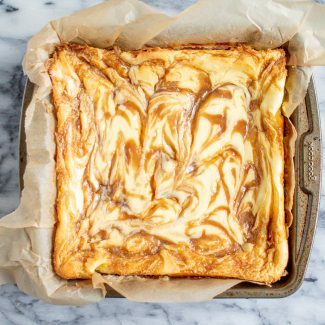 You will need to let the cheesecake bars cool for 2 hours before slicing and serving. 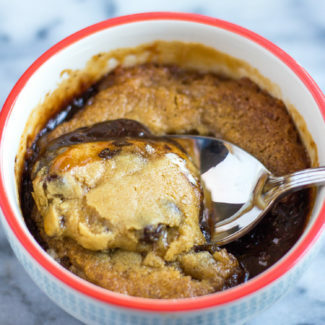 In order to save time, I used store-bought chocolate chip cookie dough. I made the cheesecake filling and the caramel from scratch, and I wanted to reduce the preparation time and the amount of mess. 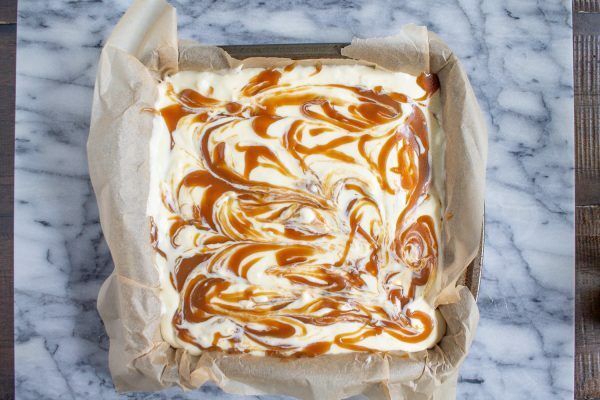 If you want to save yourself even more time you could use store-bought caramel sauce. 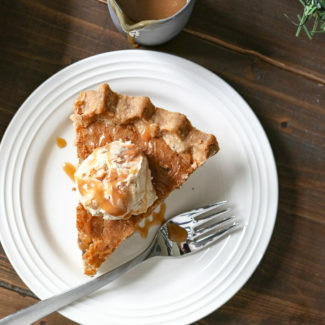 Using store-bought dough and store-bought caramel would take the active preparation time down to under 10 minutes. Most cheesecakes have graham cracker crusts, but aren’t chocolate chip cookies more delicious than graham crackers? I definitely think so. 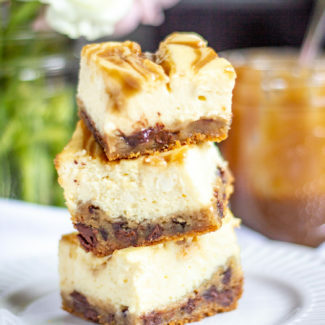 The chocolate chip crust is a fun twist on a classic cheesecake. 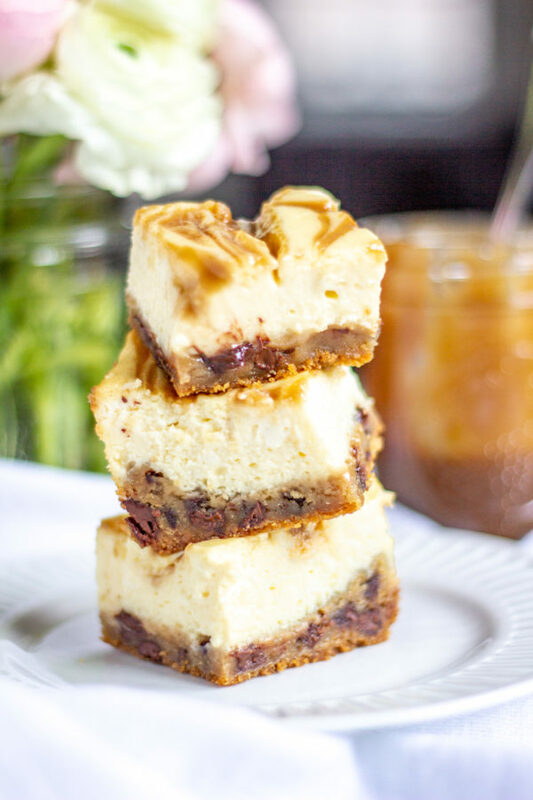 The chocolate chip, cheesecake, and caramel are an irresistible combination. Here is a link to the whiskey caramel recipe. 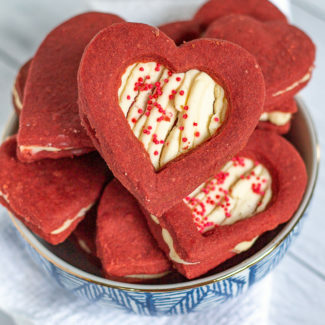 Caramel, cheesecake, and chocolate chip cookies are three pretty universally loved things. 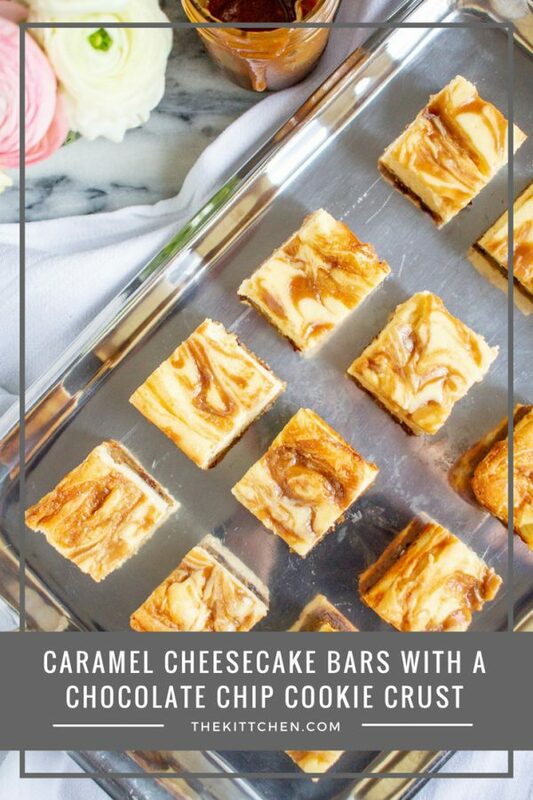 I combined them to create these Caramel Cheesecake Bars with a Chocolate Chip Cookie Crust. Yum! Heat your oven to 325 degrees, and line an 8x8 inch baking pan with parchment paper. Place the cream cheese in the bowl of an electric mixer, and beat on a medium speed until it is smooth. Pour in the sugar and sour cream and beat to combine. Add the eggs to the cream cheese one at a time, mixing after each addition. Then add the vanilla and mix to incorporate. 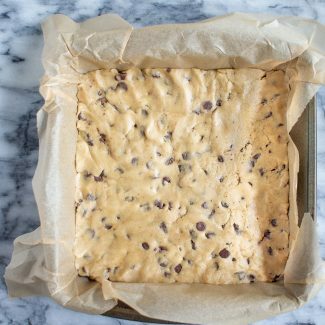 Place the cookie dough in the baking pan and use a spoon to press into the bottom of the pan so that the dough evenly coats the pan. Pour the cheesecake filling over the cookie dough. 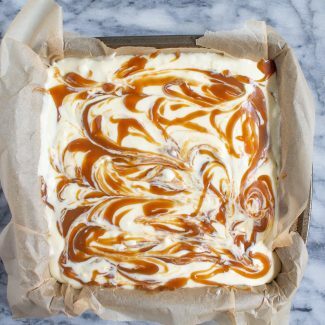 Spoon the caramel sauce on top of the cheesecake filling and swirl it in with a knife. Place in the oven to bake for 40 minutes, or until the center of the cheesecake has set. Remove from the oven and let cool. 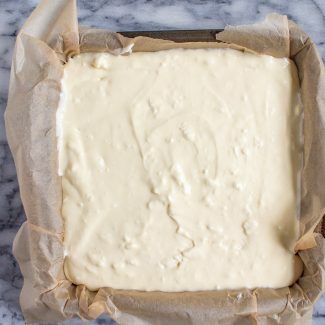 Once cooled, place the cheesecake bars in the refrigerate for at least 2 hours to chill before cutting.